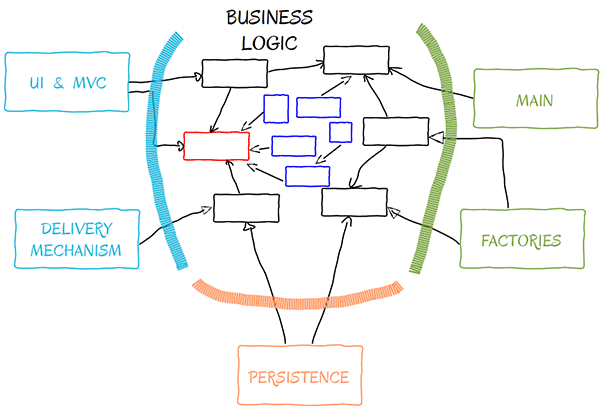 One of the most confusing design pattern is persistence. The need for an application to persist its internal state and data is so tremendous that there are likely tens – if not hundreds – of different technologies to address this single problem. Unfortunately, no technology is a magic bullet. Each application, and sometimes each component of the application, is unique in its own way – thus, requiring a unique solution. The oldest project I have to work on began in the year 2000. 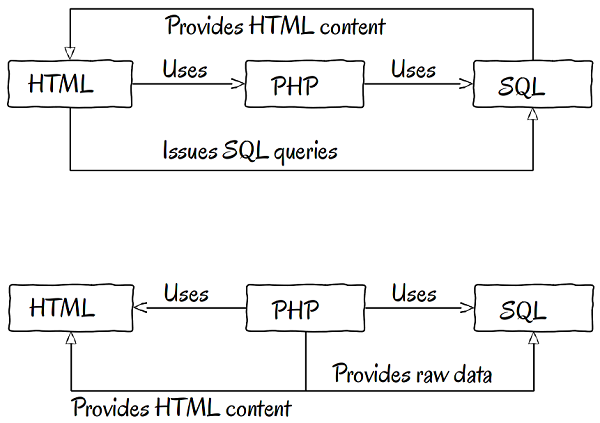 Back then, a team of programmers started a new project by evaluating different requirements, thought about the workloads the application will have to handle, tested different technologies and reached a conclusion: all the PHP code of the application, except the index.php file, should reside in a MySQL database. Their decision may sound outrageous today, but it was acceptable twelve years ago (OK… maybe not). They started by creating their base tables, and then other tables for each web page. The solution worked… for a time. The original authors knew how to maintain it, but then each author left one by one–leaving the code base in the hands of other newcomers. Today, no programmer can understand this archaic system. 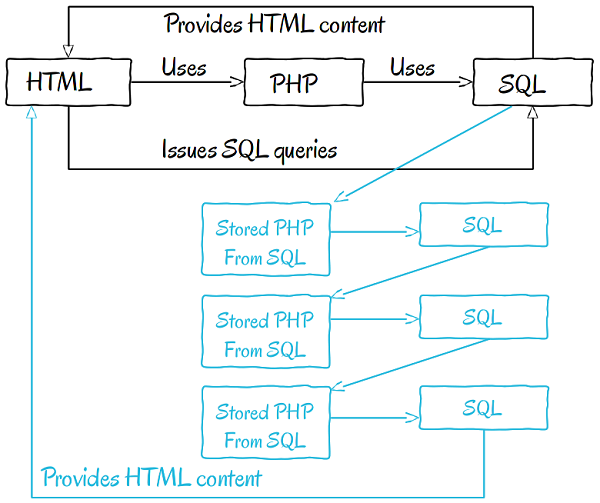 Everything starts with a MySQL query fromindex.php. The result of that query returns some PHP code that executes even more queries. 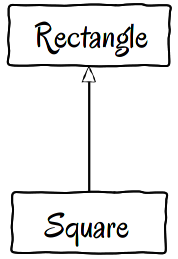 The simplest scenario involves at least five database tables. Naturally, there are no tests or specifications. Modifying anything is a no-go, and we simply have to rewrite the entire module if something goes wrong. The developers adopted a templating framework and based the application around it, starting every new feature and module with a new template. It was easy; the template was descriptive and they knew where to find the code that performs a specific task. But that’s how they ended up with template files containing the engine’s Domain Specific Language (DSL), HTML, PHP and of course MySQL queries. Today, my team just watches and wonders. It is a miracle that many of the views actually work. It can take a hefty amount of time just to determine how information gets from the database to the view. Like its predecessor, it’s all a big mess! To better identify the problems with a bad, albeit working, design, I will start with a simple example of, you guessed it, a blog. Throughout this tutorial, I will follow some test-driven development (TDD) principles and make the tests easily understandable – even if you don’t have TDD experience. 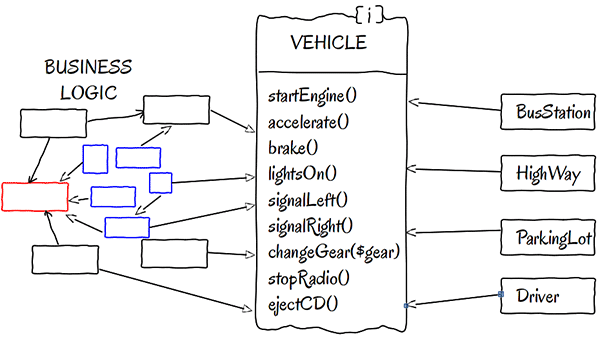 Let’s imagine that you use a MVC framework. When saving a blog post, a controller named BlogPost executes a save() method. 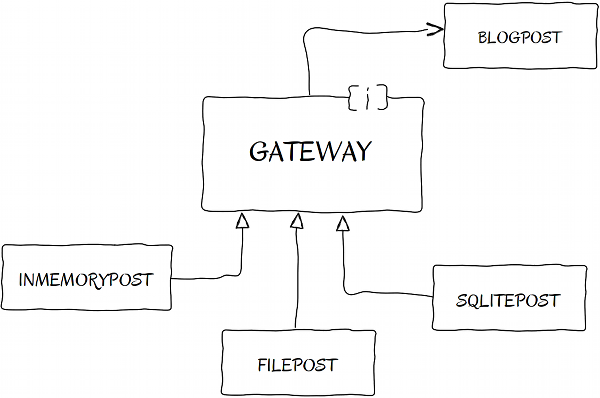 This method connects to an SQLite database to store a blog post in the database. 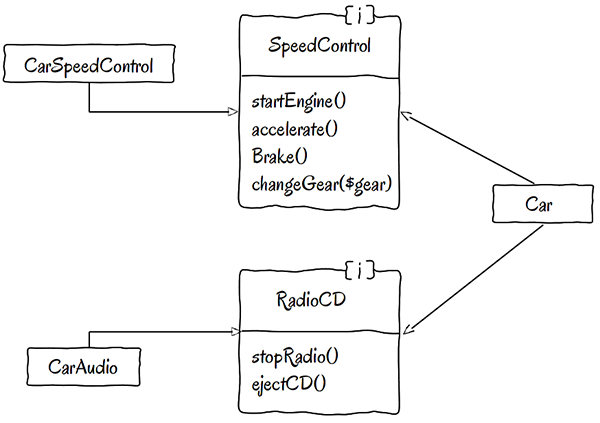 In the previous test, we created the controller with a mock persistence object, ensuring that data never gets written to the database when running the test. 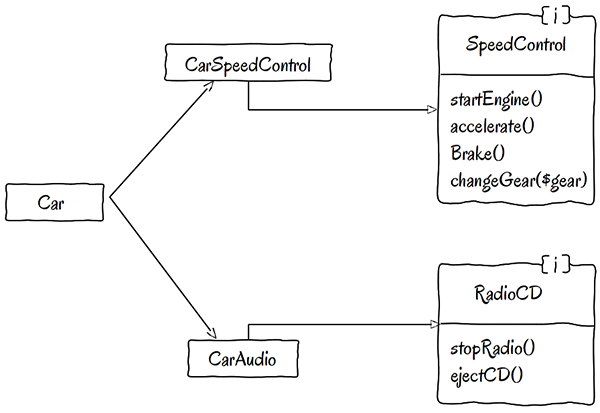 In production code, the controller creates its own persisting object to persist the data using a SqlitePost object. A mock is an object that acts like its real counterpart, but it doesn’t execute the real code. Now let’s retrieve a blog post from the data store. It’s just as easy as saving data, but please note that I refactored the test a bit. Isn’t this cool? 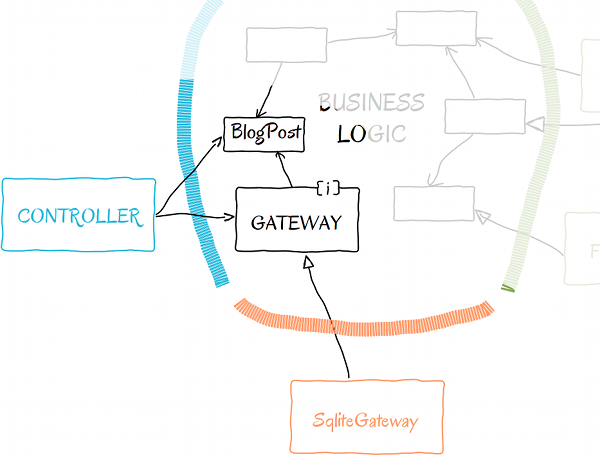 The BlogPost class is now part of the business logic (remember the high level design schema from above). 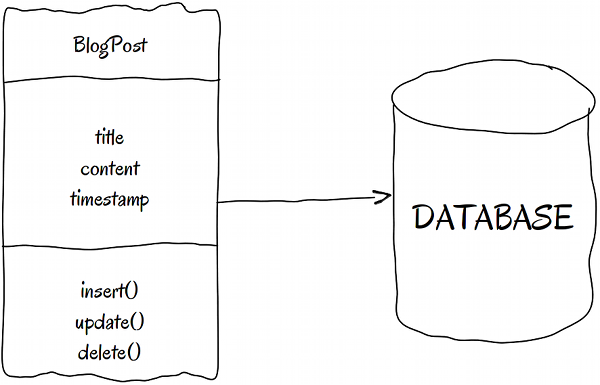 The UI/MVC creates BlogPost objects and uses concrete Gateway implementations to persist the data. All dependencies point to the business logic. The biggest problem with Active Record is the extends dependency. As we all know, inheritance is the strongest type of dependency, and it’s best to avoid it most of the time. The BlogPostController became so simple that I removed all of its tests. It simply calls the BlogPostobject’s persist() method. Naturally, you’ll want to add tests if, and when, you have more code in the controller. The code download still contains a test file for the BlogPostController, but its content is commented. 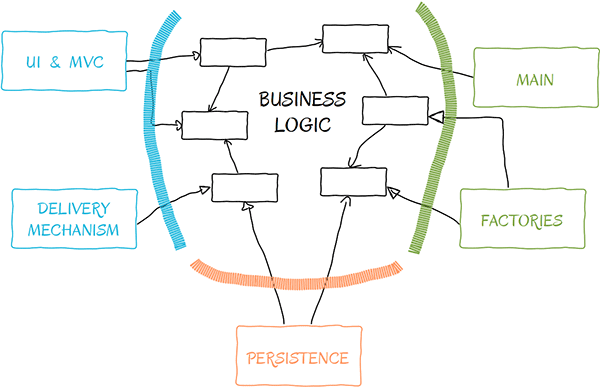 You’ve seen two different persistence implementations: the Gateway and Active Record patterns. From this point, you can implement an ActiveRecordBase abstract class to extend for all your classes that need persistence. 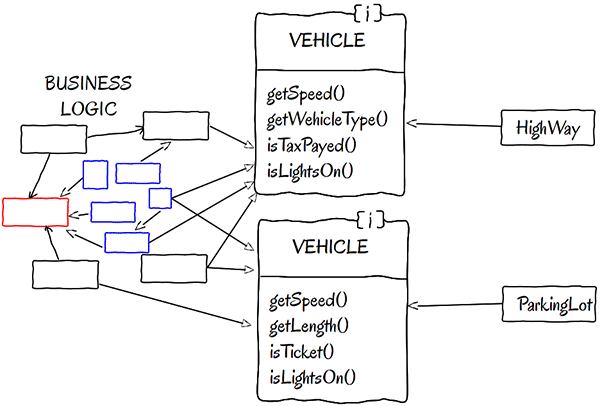 This abstract class can use different gateways in order to persist data, and each implementation can even use different logic to fit your needs.